Perfect for those looking to redecorate, Featherlite Living comes to town offering 3,000 sq ft space of furniture options for homes and the outdoors.Launched three weeks ago in Egmore, it is the home furnishing wing of the nearly 50-year-old Bangalore-based Featherlite group. a�?We are positioning ourselves as a bridge between the two ends of the home furnishing spectrum. 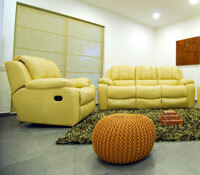 While our products are on par with a Natuzzi or a Stanley, the price points are at least 40 per cent lower,a�? says managing director Manohar Gopal, adding that they are present in around eight cities, including Ahmedabad, Kochi, Patna and Hyderabad. Sourced from Malaysia, Thailand and Taiwan, the collection includes fabric sofas, recliners, outdoor furniture and coffee tables. The colours are tamea��with mostly blacks, whites, browns and greys. The classic white L-shaped sofa set caught our attention with its adjustable head rest and sliding seat. 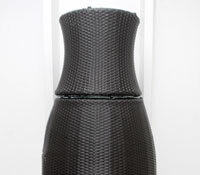 But our favourite is the Vase set, from their outdoor collection. With black wicker on a steel frame, plush cushions and a round table, the two-seater stacks away neatly in the shape of a vase when not in use. Perfect for courtyards, balconies or the poolside, the collection is weather proof, and mould, mildew and UV rays resistant. 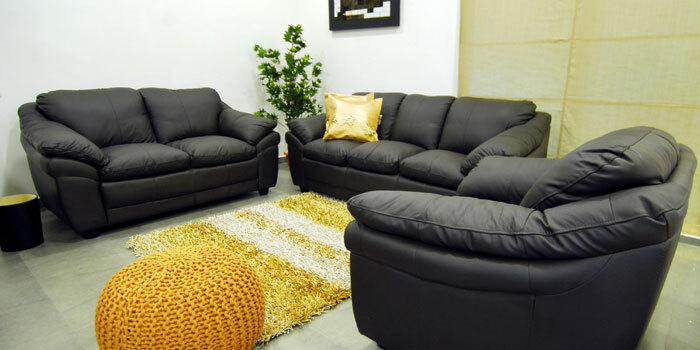 The store also offers a home dA�cor rangea��including cushions, carpets and earthenware potsa��and for the environment-conscious, there are jute sofas in their catalogue (not on display). With plans to open a second outlet on ECR in a couple of months, it will soon offer customisationa��allowing customers to choose the colour, size, type of leather and fabric.